Locals got direct access to Bonner candidates at Pacific Golf Club last night. Ross Vasta the member for Bonner, Laura Fraser Hardy the Labor candidate for Bonner and Dave Nelson the Greens candidate for Bonner spoke at the Carindale & Eastern Suburbs Community Forum. Each candidate was given equal time to address the audience. Then, rather than questions from the floor, candidates were made available at allocated tables for guests to go and ask any or all of them questions and address concerns directly and one-on-one. 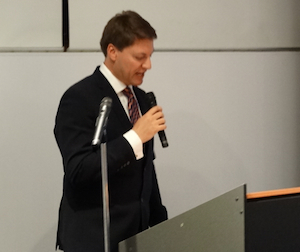 Ross Vasta was first to present and he told the audience that it was time for “a new beginning”. He emphasised issues of border security and removing the carbon tax. He also mentioned the proposed Green Army being able to team up with local groups such as the Bulimba Creek Catchment Coordinating Committee. “Please don’t be distracted by Labor’s spin,” Mr Vasta said. He also criticised NBN rollout delay and access issues in Bonner and related costs. 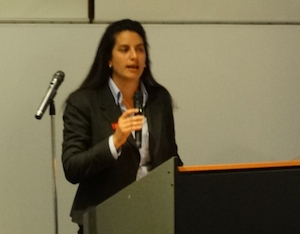 Laura Fraser Hardy, Labor candidate for Bonner. Labor’s Laura Fraser Hardy spoke about the need to prioritise childcare, education, health, disability care and job security. She said she is motivated by the local services under continual threat. “Workers don’t take their jobs for granted and I don’t think governments should either,” Ms Fraser Hardy said. Dave Nelson, Greens candidate for Bonner. The Greens’ Dave Nelson emphasised that the Greens are not a one dimensional party. He highlighted his concerns for the plight of refugees, education, the elderly and disadvantaged. He also raised the problem of coal dust being transported by train through the region. “I believe the job of the government is to care for people, I don’t believe that is being done at a state or federal level very well,” Mr Nelson said. “As an electrical engineer I know there are ways to dramatically reduce our energy costs and our electrical bills. Mr Nelson put a big focus on education and said we should not be cutting university funding or closing schools. He also stated that we should be “fully funding the recommendations of David Gonski”. All candidates stayed until everyone who wanted to speak to them directly had done so. The Carindale & Eastern Suburbs Community Forum has been running for over two years. 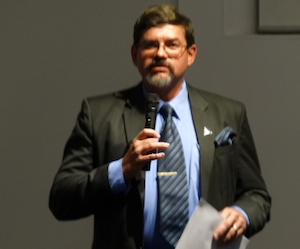 Founder and host Glenn Millar says he’s happy with how the candidate focused forum ran. Before the candidates spoke, local author Lynne Stringer spoke about her newly published teenage romance sci-fi book. Mr Millar says this was a great way to ensure it was “fun and not all election talk”. 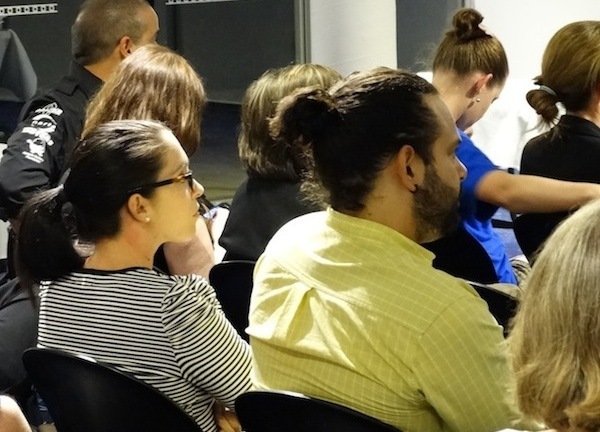 “This forum has developed into a really good resource to give locals direct access to leaders, experts and others in the community – from local businesses and not-for-profits to their local government representatives,” Mr Millar says. “I’m not at all political and our forum is about community, not politics,” he added. Carindale Connect enjoys playing its role in assisting with and promoting the monthly community forum. You can find out about the next Carindale & Eastern Suburbs Community Forum here.